We have a full line of suspension kits to cover the many dual suspension bikes on the market. 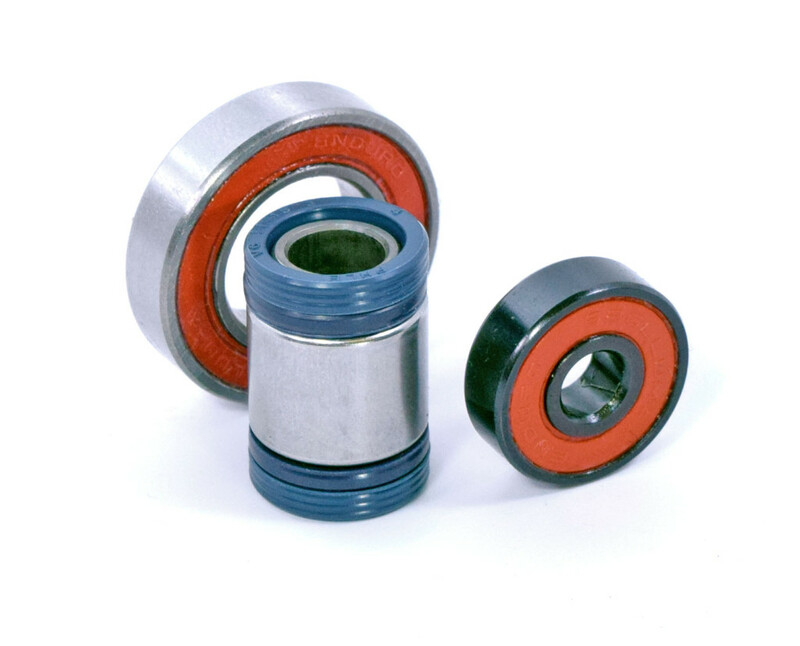 Pivot bearings are exposed to a vast range of dirt, water, sand and other abuses. We have designed our MAX type bearings to handle these extreme conditions and use them in all of our suspension kits. They have a 35-40% higher load capacity than the standard retainer type bearings most people sell. We also pack them on both sides with a high impact, water proof grease. Suspension pivots for mountain bikes have vastly improved 20 years ago when ball bearings replaced bushings. However, off the shelf ball bearings have sub par load ratings and are only filled one side with a sparse dollop of grease. A few years later Enduro Bearings pioneered small MAX type ball bearings, a design previously only used for large equipment such as forklifts and earth movers. By filling the races with balls, the static load capacity of these bearings was increased by 35-40%. With the deeper groove design Enduro Bearings incorporated, the lateral support was also dramatically increased. Filling both sides of the bearing 90%+ with high pressure grease* and using LLU* grease seals further protects the bearings from the elements. Enduro Bearings supplies a full line of pivot specific bearings for mountain bikes, including MAX type needle bearings for rear shocks. The result for you is a much more active and quick rear suspension, eliminating play and wag all at the same time. Upgrading your rear suspension with Enduro Bearings MAX bearings will save you time and money, as they will perform well 2 or 3 times longer than the stock set up. 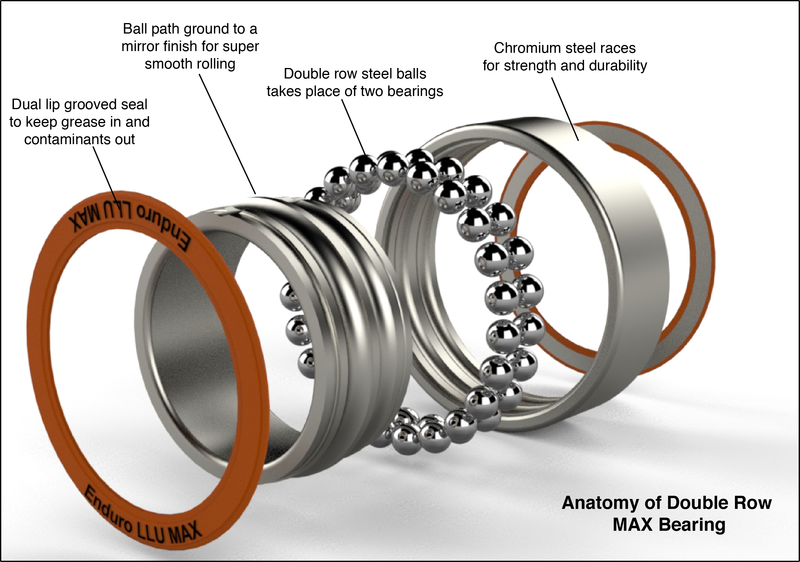 If you or your mechanic are going to tear your rear end down for a rebuild, you want to use the best Enduro Bearings MAX bearings, period. Also now available with Black Oxide for further corrosion protection.